Rashaan Salaam, former Heisman Trophy winner and first round draft choice by the Chicago Bears, was found dead in Boulder, Colorado's Eben G. Fine Park, just before nine o'clock last night. The former Monster of the Midway was only 42 years of age. The son of former Bengal's running back Teddy Washington (later Sulton Salaam, after converting to Islam), Rashaan followed his father into the "family business." 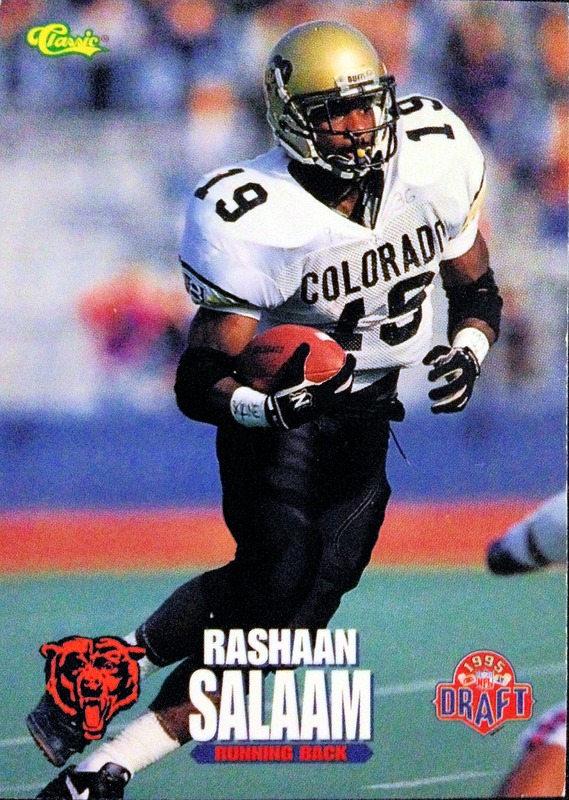 During his three years at the University of Colorado, Rashaan wowed the fans with his immense speed, leading to one of the best individual seasons in college football history. 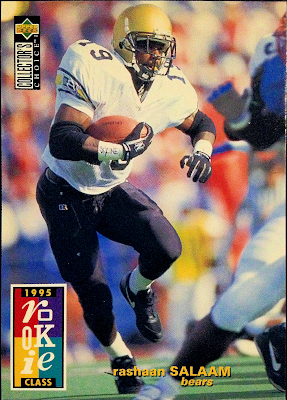 In 1994, he rushed for 2,055 yards and becoming only the fourth college running back to run for more than 2,000 yards in a season. He also added 24 touchdowns, just for good measure. The Heisman Trophy was almost a given. Rashaan "running with the Buffaloes" (also the title of one of my favorite books. As a result of that impressive junior season, Rashaan decided to forgo his senior year with Buffaloes and enter the NFL draft. 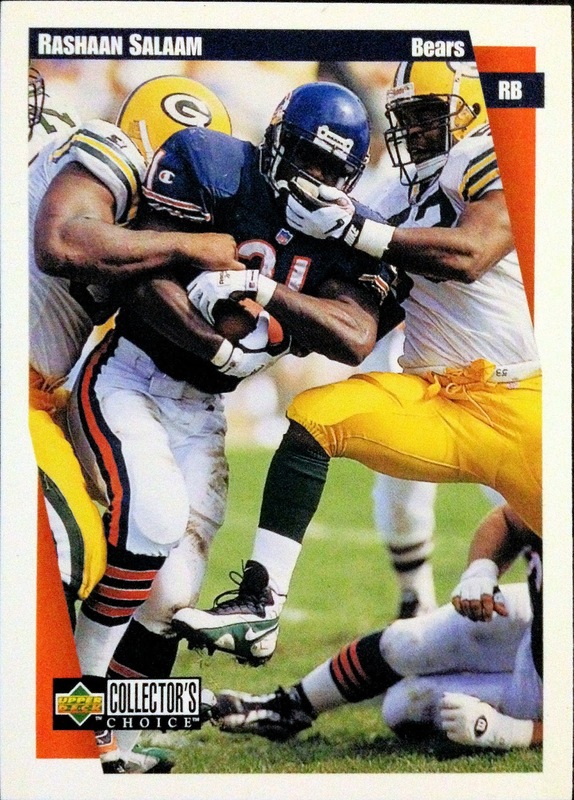 My Chicago Bears were sold on his abilities and made him their first round draft choice (21st overall) for 1995. 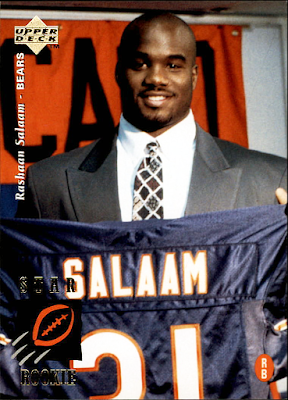 Salaam's time with Chicago's favorite football team was marred with injuries, marijuana use and a recurring problem with fumbles. During his rookie season, Rashaan showed great promise - rushing for over 1,000 yards and scoring 10 touchdowns. However, he also made nine fumbles along the way - a problem which plagued him throughout his professional career. It wasn't until after he retired, that we learned of his struggles with pot, which came out during an Outside the Lines interview. After two more up-and-down (at best) seasons at Soldier Field, Salaam bounced around from team to team - the Browns, Packers and the 49'ers, plus a try-out with the Lions. 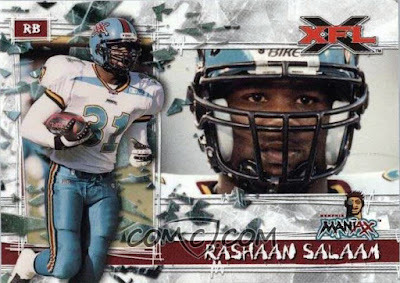 Unable to find consistency or stay healthy, Rashaan also took his talents to the CFL and, more famously, to the infamous XFL with the Memphis Maniax. I was in sixth grade when Vince McMahon started the XFL and it sure was a big deal in the halls of my middle school. The fact that a former Bear was among the big names taking the field for this grand, new experiment was extra exciting. 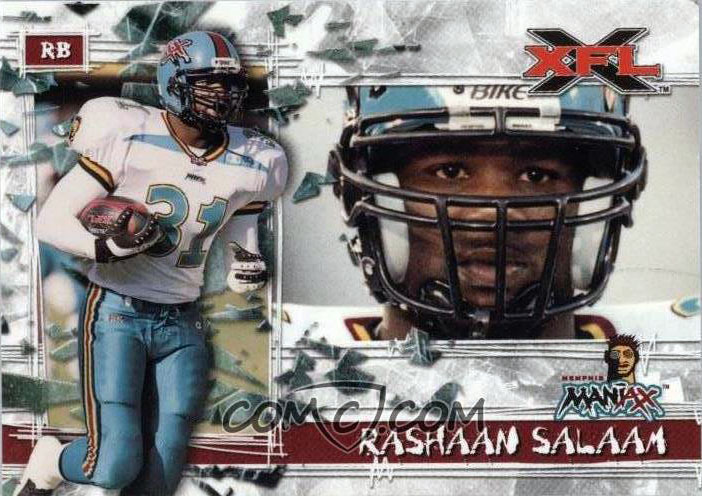 However, injury cut Rashaan's season short and, well, you know how the XFL turned out. Post-playing days, Salaam had spent time out of the country, in Beijing, China, running a business that promotes mixed martial arts fights. He also admitted that his partying and use of marijuana contributed to his downfall as a player. As a young, twenty-something with the hype of a Heisman and first-round status, one can almost hardly blame him. It's a pretty common tale, after all. Despite his problems with such vices, by all accounts, he was a good person. His coach at Colorado, Bill McCartney, stated that "he had a happy heart. I loved being around him. He didn't take himself too seriously, and he always credited those around him, especially his offensive line. What I liked about him is that he had a sparkle in his eye. He was upbeat and positive." At this time, there is no known cause of death for Salaam. All that's been published is that there are no signs of foul play. The investigation is currently ongoing. 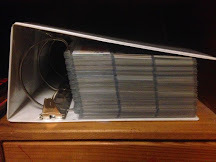 At any rate, R.I.P. 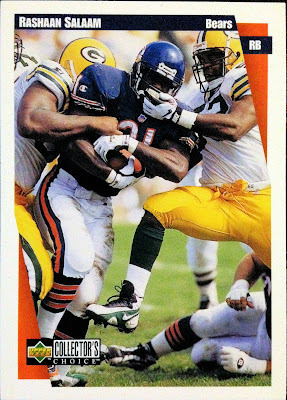 Rashaan Salaam. Forty-two is far too young. Nice tribute post. It brought back some great memories.